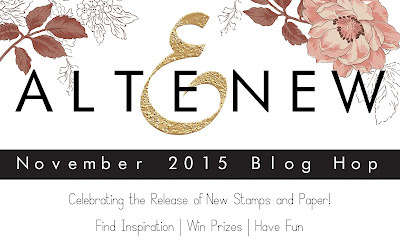 Crafting Confessions: Altenew November release blog hop! These are so sweet and pretty!! Love the clean look of the first card! 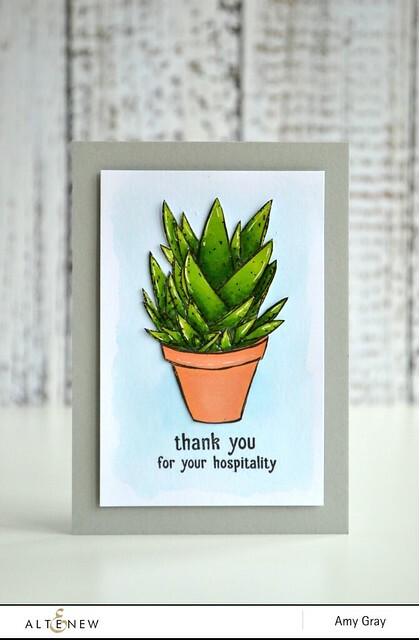 Cute succulent card. My favorite stamp set from this release is Beautiful Day. OMG! the 1st card with those highlights is adorable!! Wowie you did it again another great set of cards love them all. Your cards are beautiful. Live the glossy accent touch! All so beautiful! LOVE your color combinations - especially on that last one! SOOOO sweet! Such pretty cards Aimes. Love the shiny finish on the first one. Your cards are lovely...great dimension on the succulent! Nicely done! The way that first one shines....love! Such a pretty set of cards ..I so love the soft colors you have used! The backgrounds that you made with the stamps are so pretty. that cactus looks so real. Stunners!! I love every one of your encouraging cards! All of the cards are outstanding. My favorite is the succulent in all its glory. Aimes....I love them!!!!! You so creative and I just love your designs. Thank you for sharing!!! wonderful cards, Aimes - especially love the pink and green! Clever girl. Love what you've done with these new stamps. Your ORCHID card has to be the HAPPIEST one on the hop!! Stunning! And beautiful color choices! when you win (or lose), so that you can easily keep records of your games for future reference. Bingo games are games of fun and very thought-provoking. In the end you will be less frustrated when you get the sleep you needed. Not usual cards. Strange feelings. Beautiful cards! Your succulent looks real! Love how you've done the succulents! Beautiful creations! I love the new release. Beautiful cards ,specially loved the texture on succulent ! Love your patience! Ha! The aloe is stunning and so fun! Gorgeous new release from Altenew. Love your cards, so pretty! Love the way the succulent turned out with glossy accents. Oh my Amy, your cards are outstanding! By the way, very creative with the Glossy Accents my dear and it really made all the difference....thanks for the tip! I have to admit that this really is one of the best releases of 2015 that I have seen and believe me, I've seen them ALL! If, and I say "if", I could only pick one item from this release, it would have to be the Orchid stamp set.....it rocks! Now, do you want to know what else I want LOL! Thanks Amy for sharing your talent with all of us and I look forward to seeing more of your creativity! Your cards are so pretty. I, too, like to use glossy accents, just adds the finishing touch. SO adorable and sweet, such an amazing inspiration. hey... gorgeous cards!!! I so love the peony stamp set:) ..so gorgeous but thats partly cuz i dont own layered stamps yet.. LoL... sorta behind! ... i would love to LeaRn how to do simple and clean white cards as yours are:) Beautiful and very elegant looking....sending love love love..
Love each card especially the pink & green you've got me. My favourite stamp set is the succulents, and I love the glossy goodness you have treated your image to...I know it takes patience but the effect is just perfect. Fab cards, love them all but the glossy accents treatment on the first looks amazing! Very pretty cards! Love the floral images in this new release! Your cards are beautiful! I do love Beautiful Lady stamp set. So pretty! Love it all! Simple yet so beautifully made! Great cards! The Glossy Accents makes the succulent look so real! Beautiful work on the cactus! Lovely cards! Such a great release! Love that glossy succulent Amy. Love the succulents and the sentiments are great. Love your trio of beautiful cards. Love your projects - the shiny succulent is adorable. Thanks. Beautiful cards! All of them! Love the glossy accents on the succulent! Sneak peek of your orchid card made me buy the set and now that I see the full card I don't regret it a bit. Love it! Beautiful. I especially love the succulent. I like the dimension on the succulent card. Your cards are lovely. Love the shiny succulents! Love the coloring and the glossy accents on that succulent and I love the unexpectedness of that last card with the bit of washi/gold, what a great mix of elements! notably take a sizable share of retail sales from here on out. 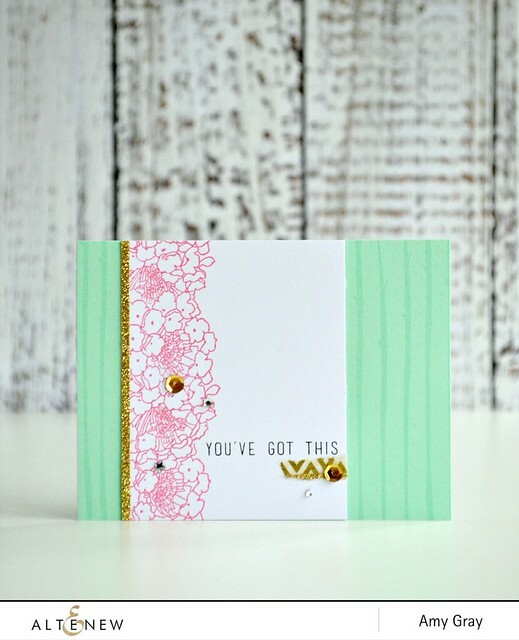 Love your beautiful cards, especially the layouts and color combos, and the touches of gold are so elegant! The coloring on your cactus and the glossy accents is awesome. Wonderful cards. Like the succulent stamps the most. Wonderful cards! Love all the new stamps! 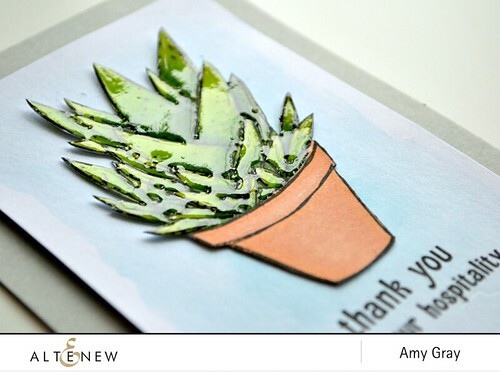 Absolutely wonderful Amy, totally loving the glossy accented cactus, it makes me so happy (and now I need to try it too lol)! 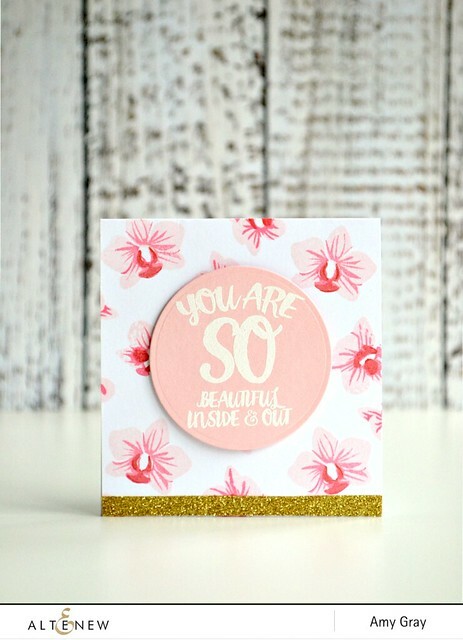 Gorgeous cards and love the orchid background stamping, so pretty!! Aimes, just love the glossy accents on the cactus. Your cards are beautiful as usual. Such pretty cards! I love the gloss and domension! LOVE everything, such pretty colors! What absolutely beautiful cards! I think the succulent card is my fave! Oh, what a gorgeous set of cards!! Beautiful cards Aimes, great coloring! Great floral cards...love the glossy accents on the cactus...I find it hard not to touch it too when I use glossy accents. Great cards!Made my spirits better! Beautiful cards!! Love what you have done with the orchid!! Very beautiful!! Like the Glossy Accents on teh succulent - really makes it pop. Your cards are beautiful. Love the succulent card. Great job. Thanks for sharing. Your cards are so pretty! I love the glossy accents treatment an pretty colors. Thanks for sharing. Lovely creations Amy, thanks for all the fabulous inspiration! Tenderness, lots of sunshine...Very beautiful cards! Oh wow! Beautiful creations! Thank you for this amazing chance! Great makes, loving all the texture on the first one, and beautiful showcase of the orchids as well. Oh my! Such a magnificent job! Very pretty! Love all card! But composition on third is amazing! gorgeous set of cards... love the dimension on the first one!! 3 very different cards - wonderful. This is an awesome new release! Wonderful assortment of cards! Love the shine on the succulent! Beautiful!!! Love that succulent, its perfect! Wow, Amy, your succulents look real! Amazing. LOVE your glossy succulent, LOVE the colours, sparkle and ELEGANT design of your other cards too!!! Beautiful Lady is my favourite from the release. Great cards love the flowers and the colors you chose. Nicely done with the succulent plant coating! Turned out beautifully! I love your work! Wonderful cards. I really like the use of glossy accents on the succulent. beautiful cards...anyone would be lucky to receive them. Pink with gold so gently turned! I absolutely love these, Aimes! With each one I kept thinking..."Oh, I'd love to CASE that!" Your glossy accents treatment is just fantastic. luv how you used the glossy accents on the succulents - makes it look so real - great projects for this release. Lovely cards! I really like the succulent one with glossy accent. Great job! Beautiful cards! My favorite is the third one. It is a great idea to make a background pattern using the stem of the orchid! I wish I could see the shine on those succulents! All of your cards are beautiful but I like, in particular, how you masked and stamped the flowers in the third card. It's always nice to see another way to do a card rather than stamping and then coloring. And yes, I have several favorites from the new sets. I want all of the layering sets! !